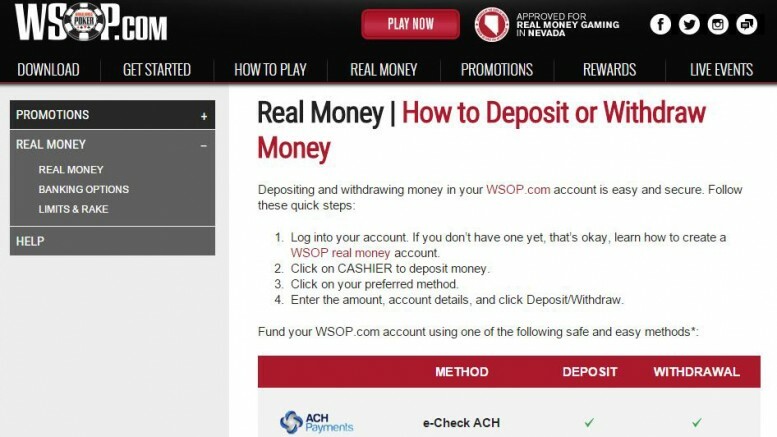 Paypal has quietly started to allow online gambling website, including WSOP.com, to accept payment by Paypal. When you scroll down the “Banking Options” page on WSOP.com, you will see a list of accepted payment methods (see above). Scroll down below Mastercard, Visa and other and now you will also see Paypal (see below). But notice the check-mark on the last column, indicating that you can withdrawal and get paid from Paypal, unlike Visa and Mastercard. Apparently, as more states slowly approve online poker over the next few years, Paypal wants a piece of that action. Be the first to comment on "Paypal Quietly Allows WSOP To Accept Paypal"